Ancient astronomers have long been providing observations of supernovae, such as SN 185 by Chinese astronomers in 185 AD, SN 1054, which produced the Crab Nebula, and SN 1006, the brightest stellar event ever recorded. Now, a new paper has uncovered a new observation of the 1006 event. A trio of German astronomers uncovered a new observation from Arabic scholar Ibn-Sīnā, who lived from AD 980-1037, which had never been documented. The supernova is widely documented, with observations from Egypt, Switzerland, China, the United States, and Yemen. S¯ına, who lived in present-day Iran, provides yet another observational point. 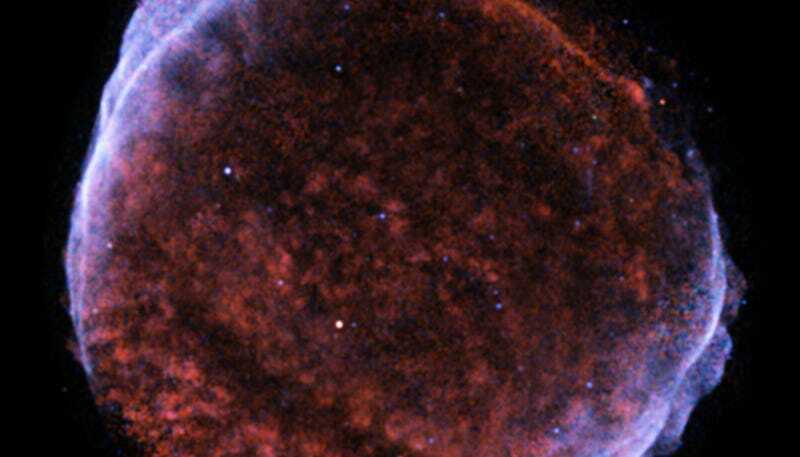 SN 1006 was reported to have been brighter than Venus over a three month period, so bright that it could be seen during the daylight. It therefore happens that the burning and flaming stays for a (long) while, either in form of a lock of hair or with a tail [i.e. in form of a comet], mostly in the north, but sometimes also in the south, or in form of a star among the stars [kawkab min al-kawakib] – like the one which appeared in the year 397(h). It remained for close to three months [qarıban min thalathat ashhur] getting fainter and fainter until it disappeared; at the beginning it was towards a darkness and greenness, then it began to throw out sparks [yarmı bi-l-sharar] all the time, and then it became more and more whitish and then became fainter and disappeared. It can also have the form of a beard or of an animal with horns or of other figures. The paper notes that this observation is helpful for scholars of Ibn-Sīnā, trying to track down his whereabouts, but also that his observations (although it is unclear if they are first or secondhand) are useful because they provide an additional data point alongside other period observations.